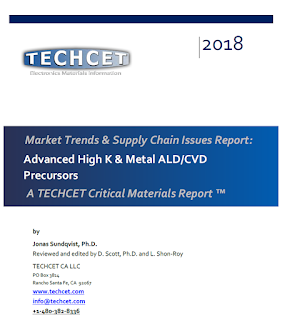 "While cell manufacturers continue to expand into standard PERC, several stakeholders involved in solar cell production are offering and working on processes and materials to bring PERC to the next level. That’s why our PERC 2018 report is looking at PERC+, that’s for us everything supporting basic PERC to improve efficiency and yield – from selective emitters to bifacial technology." You can download the TaiyangNews PERC Report 2018 for free here. Upon request, I transmit two messages from Dr. Tuomo Suntola, the awardee of the 2018 Millennium Technology Prize, to the ALD community. 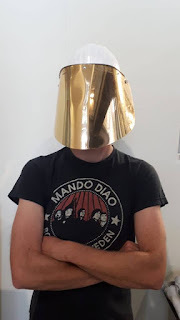 It is an honour for myself and for the ALD History Blog as publication platform to transmit these messages from Dr. Tuomo Suntola to the community. The blog is down for GDPR alignment. Please enjoy the weekend. The AVS Short Course Webinar focusing on Atomic Layer Etching (ALE) will be held on Wednesday, June 13, 2018 from 1:00-5:00 p.m (EDT). This webinar will be taught by Steven M. George, Professor in the Dept. of Chemistry & Biochemistry and Dept. of Mechanical Engineering, University of Colorado at Boulder. This AVS Webinar on ALE will provide the training required to understand plasma-assisted ALE and thermal ALE. The webinar will explain the process strategies for plasma-assisted ALE and thermal ALE. Important ALE approaches for many materials including Si, SiO2, Al2O3, TiN and W will be described that are useful for advanced semiconductor processing. Who should attend: Scientists, engineers and technicians who use or plan to use atomic layer etching for atomic scale fabrication. Questions: E-mail heather@avs.org or call 530-896-0477. ESPOO, Finland, May 22, 2018 /PRNewswire/ -- Dr. Tuomo Suntola, the inventor of ALD and Picosun Board member, has received the Millennium Technology Prize 2018. The prize was announced and awarded in Helsinki Tuesday 22nd May. "Tuomo Suntola's innovations led to the large-scale commercial utilization of the ALD method. He saw the huge potential of atomic layer deposition and thin-film technology in microelectronics and information technology," says Päivi Törmä, Chair of the Board of the Millennium Technology Prize Selection Committee. "Dr. Tuomo Suntola's work benefits the whole mankind. The super-efficient everyday electronics of today are based on ALD. Health technology is taking giant leaps forward with ALD, and we will see the same happening to many other branches of industry in the near future," says Mr. Kustaa Poutiainen, Chairman of the Board and CEO of Picosun. Suntola invented Atomic Layer Deposition (ALD) already in 1974. With it, ultra-thin films with thicknesses down to only a few millionths of a millimeter could be grown on all kinds of surfaces, even on three-dimensional ones. ALD films grow by one atomic layer at a time, when gaseous precursor chemicals react with the surface. He was ahead of his time, because it took over 30 years before semiconductor industry started to utilize ALD on production scale. Quickly, ALD revolutionized the whole industry. With it, transistors and memories keep shrinking in size while shooting up in efficiency. ALD is boosting development everywhere. Health technologies and Internet-of-Things, with its billions of high tech sensors equipped with ALD films, are some of the key application areas in the near future. ALD enables brighter and longer-lasting LEDs, and ALD films can be found even in watches, jewelry, and collector coins. Tuomo Suntola joined Picosun a couple of years after the company was established, first as a technological advisor but soon also as one of the owners and a Board member. The company owns a lot to the experience and silent knowledge brought along by him and his close colleague, late Sven Lindfors. "All of us here at Picosun congratulate Tuomo. And I am sure that the whole ALD community joins us. Tuomo is an incredible innovator, who has definitely deserved this prize. At Picosun, it is our obligation to Tuomo to keep spearheading the development of ALD, as an agile and innovation-driven company," says Poutiainen. Finnish physicist Tuomo Suntola’s innovative technology, atomic layer deposition (ALD), has made our lives with high efficiency smartphones, computers and social media possible. ALD technology also offers medical and sustainable energy applications. The President of the Republic of Finland Mr Sauli Niinistö presented the eighth Millennium Technology Prize in Helsinki on 22 May 2018. The biennial one-million-euro Millennium Technology Prize has been awarded to Dr. Tuomo Suntola. Suntola’s prize-winning ALD (atomic layer deposition) innovation is a nanoscale technology in use all over the world. ALD is used to manufacture ultra-thin material layers for microprocessors and digital memory devices. The technology allows building of complex, three-dimensional structures one atomic layer at a time. ALD is a versatile technology, instrumental in numerous high-tech sectors. Components with thin films made with the ALD technique are used in practically all modern computers and smartphones. Thanks to the constantly evolving ALD technology, IT equipment has become smaller and less expensive yet more powerful. Suntola’s innovation is one of the key factors in the continuation of the famous Moore’s Law that has kept its validity to this day: the efficiency of microchips has doubled at approximately two-year intervals while their price has decreased. The extremely thin isolating or conducting films needed in microprocessors and computer memory devices can only be manufactured using the ALD technology developed by Tuomo Suntola. “The ALD method is a textbook example of a technology that is hidden from users but is nevertheless vital for visible development. ALD has also made the ownership of information technology more democratic, thereby contributing to the wider access to information and communication,” says Academy Professor Päivi Törmä, Chair of the Millennium Technology Prize Selection Committee. Tuomo Suntola developed ALD technology and the equipment for the manufacture of thin films back in the 1970s and then acquired international patents for them, thus enabling the industrial production of thin films on a mass scale. 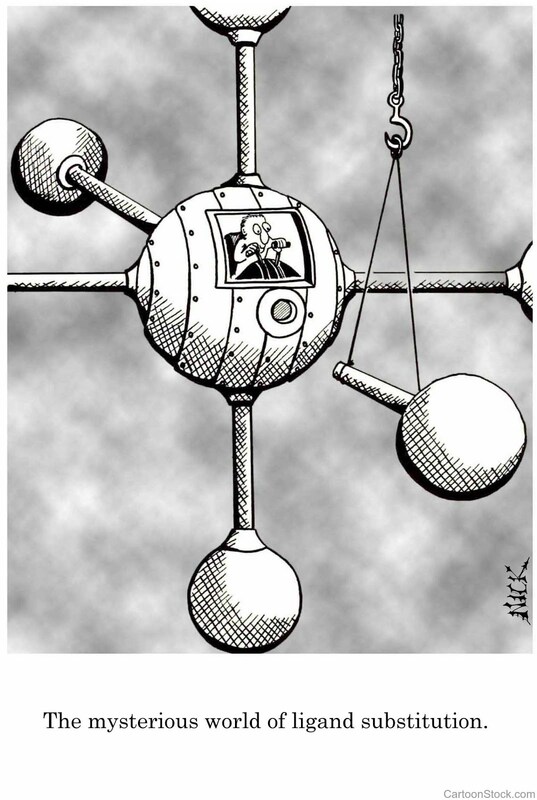 Fundamental research that underlies ALD technology had also been conducted in the former Soviet Union by Professors Valentin B. Aleskovsky (1912–2006) and Stanislav I. Koltsov (1931–2003). “Tuomo Suntola’s innovations led to the large-scale commercial utilisation of the ALD method. He saw the huge potential of atomic layer deposition and thin-film technology in microelectronics and information technology,” says Päivi Törmä, Chair of the Board of the Millennium Technology Prize Selection Committee. Suntola himself considers the breakthrough in electronics his greatest achievement. “When the semiconductor sector came to understand the significance of ALD technology in the early 2000s, its use exploded,” says Tuomo Suntola, winner of the Millennium Technology Prize. The winning innovation has a firm position in the IT sector and a great future in many other fields as well. Research has yielded promising results with manufacturing ALD thin films for medical instruments and coating of implants. Startups have been formed to commercialise the technology in applications such as controlled release in the human body. The ALD method can be used to improve the efficiency of solar panels, LED lights and lithium batteries for electric cars and its use has also been researched for environmentally friendly packaging materials. ALD-films are used in optical applications, and also on watches and silver jewellery to prevent corrosion. 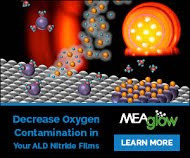 Today the global market of equipment and chemicals used for the manufacture of ALD films is estimated to be about two billion US dollars, and the market value of consumer electronics relying on ALD technology is at least five hundred billion dollars. “World-class ALD expertise has been developed in Finland. I hope that the prize will inspire Finnish researchers and companies to invest in new technological applications,” says Professor Marja Makarow, Chair of the Board of Technology Academy Finland. The international Millennium Technology Prize was awarded in Helsinki on 22 May 2018. The Millennium Technology Prize is a Finnish one-million-euro award presented every second year in honour of a pioneering technological innovation that improves people’s quality of life and promotes sustainable development. The winning innovations must have extensive positive social impacts, be commercially viable and promote the welfare of humanity. The Millennium Technology Prize is awarded by Technology Academy Finland. 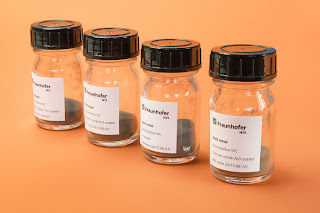 The Thin-Film Technologies Group of Fraunhofer IKTS has extended its expertise and service portfolio into the field of thin-film deposition on particles and powders. 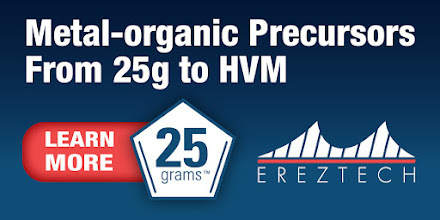 Using the available equipment and deposition technology, powder quantities of up to 100 g can now be coated using conformal ALD and CVD processes. Figure 1 - Different grades of ALD and CVD coated hard metal powder. The recent research and development has focused on conformal functional layers on powder materials for applications for Li-ion batteries (LMNO – LiNi0,5Mn1,5O4 powder), as well as applications in hardmetal tool manufacturing. The group has developed novel ultrathin barrier layers and layer systems for LNMO powders and other hygroscopic and easily oxidizing materials, e.g. metal powders and hardmetal powders such as tungsten carbide (WC). Figure 2 - Tungsten carbide powder coated conformally with TiN. The first results for the coating of tungsten carbide powder with titanium nitride show that it is possible to produce coatings with excellent surface conformality using both ALD and CVD techniques (Figure 2). With a 10 to 50 nm thin TiN coating on tungsten carbide powder, new types of polycrystalline tungsten carbide based on polycrystalline WC particles can be produced for various applications in the tooling industry. As these hardmetals are being manufactured, a TiN barrier layer can prevent the molten cobalt from penetrating into the polycrystal and dissolving it. This results in extraordinarily high hardness and good fracture toughness. A broad range of TiN ALD- and CVD-coated powder is currently being investigated for their sintering processing behavior and material properties, such as hardness and rupture strength. Figure 3 - Al2O3-coated LMNO powder. In a second project, LMNO powders for Li-ion batteries were coated with an extremely thin Al2O3 coating (Figure 3). This layer improves the interface with the electrolyte, which in combination with the high-voltage material LNMO prevents degradation of the electrolyte. The aim is to benefit both the battery cell’s cycle stability and performance. The coated powders are currently being characterized and show promising results. Figure 4 - LNMO powder in the drum reactor. After processing, the powder character is retained without particle agglomeration. When coating powders with low density or low weight, the coating process was frequently marred by high powder losses. By optimizing the ALD pulse sequences and the reactor geometry, it is now possible to achieve a powder yield of more than 95 % for Al2O3 coatings in the layer thickness range of 1 to 20 nm. The agglomeration of the particles could also be avoided through rotation (Figure 4). The amazing results so far indicate that in the case of TiN it is possible to coat many powder types conformally by both in ALD and CVD mode. Please check out some of the videos below! Here is a recent Area Selective Deposition (ASD) paper by Veeco and Imec that got to be the Editor's Pick in JVSTA. ASD is important in scaling down semiconductor devices since it is a self aligned process meaning that you will not have an alignment issues with the previous patterning process when you continue to build your nano-electronic device layer by layer. This paper is about growing hafnium nitride selectively by ALD on low-k dielectrics but not on copper. Hf3N4 is a decent high-k dielectric and can be transformed into HfSiON etc by annealing in oxygen atmosphere. Another option would be to let it act as a nucleation layer and barrier for e.g. a metal process by ALD, CVD or ELD. 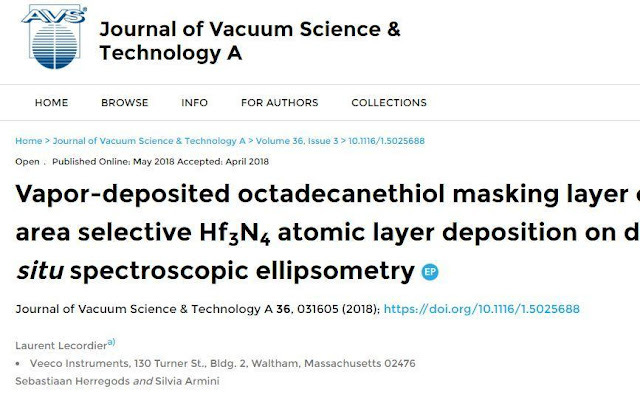 Here Imec and Veeco use vapor-deposited octadecanethiol as a masking layer on copper to enable area selective Hf3N4 atomic layer deposition on dielectrics studied by in-situ spectroscopic ellipsometry. This type of process could become an important tool in future bottom up fabricated process modules. As an example a process that is already in production is area selective CVD of Co on copper lines by using CoCOCp. Her Co metal only grows on the exposed copper lines and not on the low-k and thereby encapsulates the copper lines which reduces the risk for electromigration that leads to interconnect line fails. The HERALD Summit will be the premier European conference in 2018 devoted solely to atomic level processing, covering atomic layer deposition (ALD), atomic layer etch and related nanofabrication techniques. 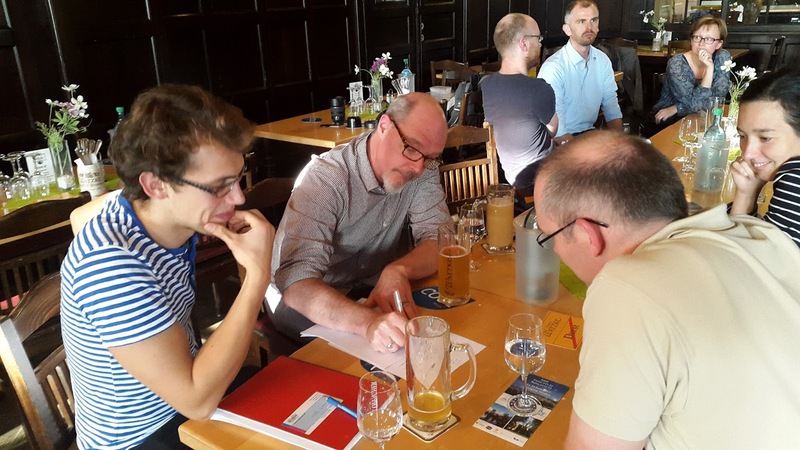 As the final meeting of the HERALD COST Action, the three-day Summit will include detailed discussions on the research achievements of HERALD and on future opportunities for collaboration, both within Europe and worldwide. Ongoing projects and new funding proposals will be promoted so as to continue to build the ALD community. The HERALD Summit will take place in Braga, Portugal from 25-28 September 2018. Registration and abstract submission will open in May 2018. The main topics will give a good overview of the areas of science on atomic level controlled processing. Mechanism, Metrology and Modelling ALD mechanisms. Precursors and Processes for viable ALD processes. 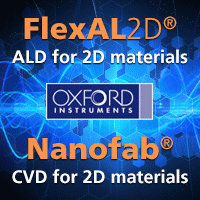 Substrates and Interfaces: nucleation, 2D materials, selective area – ALD. Registration and abstract submission will open in May 2018. The HPR-30 is a residual gas analyser configured for analysis of gases and vapours in vacuum processes and for vacuum diagnostics. The HPR-30 sampling system configuration is for fast response high sensitivity analysis of gas and vapour species in vacuum processes. It is also directly suited to analysis of high mass species and precursors used in ALD and MOCVD applications. The HPR-30 system features a close-coupled re-entrant aperture for sampling directly within the process region, providing maximum data integrity and fast confirmation of process status. Options include the innovative Hiden 3F series triple filter quadrupole system providing enhanced abundance sensitivity, part-per-billion (ppb) detection levels and high contamination resistance, particularly suited to the analysis of aggressive gases in CVD and RIE applications. 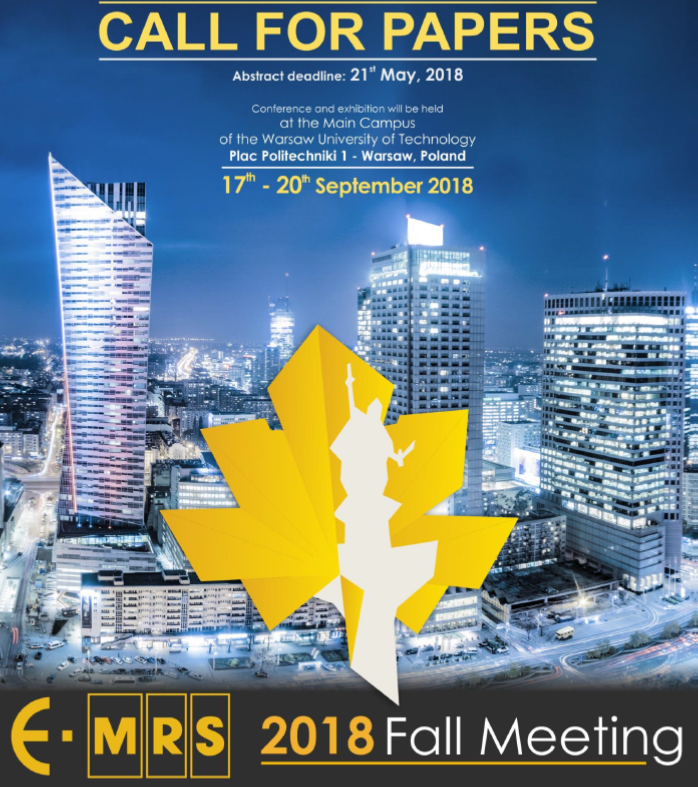 Here is an excellent opportunity for (particularly) early stage European-based researchers to promote their research through an oral presentation to an international audience with many of the leading ALD researchers presenting and in the audience. Please contact them directly if you want further advise! ALD is a chemical deposition technique traditionally used in the field of microelectronics and large area displays. In recent years ALD has seen a huge evolution in terms of the materials that can be deposited, the reactors and the applications. 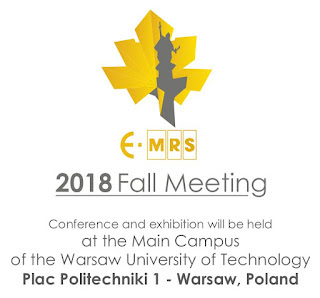 This symposium aims at highlighting recent developments in the field of ALD of functional materials and devices and to present the ALD community to the broader materials science community. ESPOO, Finland, 8th May, 2018 – Picosun Group, a leading provider of ALD (Atomic Layer Deposition) thin film coating technology for global industries, has decided of minimum one and a half million euros’ increase of the share capital in its Extraordinary General Meeting. This sum, coming from the existing shareholders, is a part of minimum five million euros’ bridge financing. ”We have invested a lot of money in research and development, which shows now in extremely strong growth. With the bridge financing we enable acceleration of this growth while preparing to be listed,” says Mr. Kustaa Poutiainen, Chairman of the Board and CEO of Picosun Group. In the previous fiscal year, which ended 30th September 2017, Picosun’s turnover grew 28 percent to 18.9 million euros. During the first half of the current fiscal year the growth increased to 61 percent. The growth continues, as in the end of March 2018 the value of Picosun’s 12 month cumulative received new orders was 27.8 million euros. As of today, the company’s order backlog is worth 11 millions. At the same time, Picosun has improved its profit. ”We have earned the trust of also our big, industrial customers, which is why especially our repeat sales have grown. We will always take good care of our R&D, agility, and fulfilling our customers’ needs,” Poutiainen continues. In the first half of the current fiscal year Picosun’s net profit was 1.2 million euros. ALD is a Finnish invention, patented by Dr. Tuomo Suntola already in 1974. Suntola is a Picosun Board Member and one of the owners of the company. 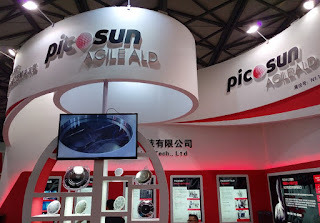 Ultra-thin and pinhole-free films deposited with Picosun’s ALD equipment cover perfectly even three-dimensional surfaces. ALD technology is a necessity in microelectronics and LED industries and in manufacturing protective coatings on various objects. The use of ALD expands fast, as new applications emerge all the time. ”We are especially excited when the new financing enables us to help also the health industries to develop. Picosun has developed ALD coating solutions for e.g. surgical implants and medicines, and our customers are already using these solutions in their production. We believe that ALD can give a giant boost to health industries, just like it did to electronics industry,” states Poutiainen. Printed Electronics Summit is a 2-day event that will take place on June 14-15, 2018 in Barcelona, Spain. 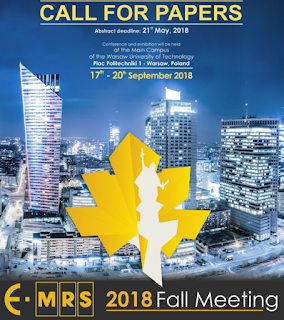 The Summit will bring together researchers, technology innovators and manufacturing companies working in the area of printed, flexible and organic electronics in order to discuss latest developments, future trends and challenges in materials, processes and printing technology. Learn from the leading players in the industry, get ample opportunities for networking, knowledge sharing and discussion, and enjoy several days in sunny Barcelona. 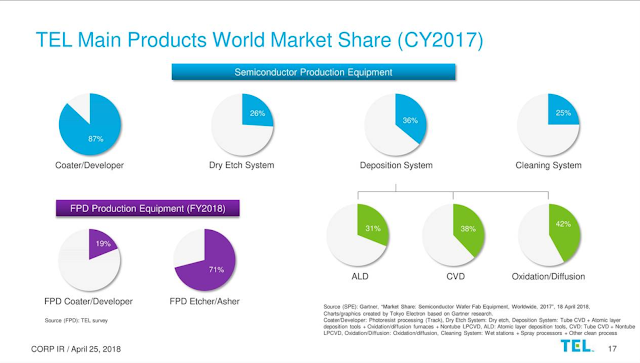 Tokyo Electron recently (APR 25, 2018) presented their Q1/2018 numbers to share holders and released a slide deck (LINK) with some interesting new numbers on market share. For the first time it seems that another OEM is up there seriously challenging ASM International on the No.1 spot in ALD Equipment market share. ASM International has dominated the ALD segment with a share of >70% in 2014, but this share has slipped down year by year and they have lost their market share to well below 50% in 2017 due to strong competition in a rapidly expanding ALD market from Tokyo Electron, Lam Research, Kokusai, The Korean OEMs (Jusung Engineering, Wonik IPS and Eugene Technology) and also to some extent by Applied Materials. One explanation why Tokyo Electron has taken market share in ALD is because of a lot of the recent investment is coming from DRAM and 3DNAND Fabs and not Logic Fabs (see below). Traditionally Tokyo Electron has been much stronger in Memory than ASM International. Here the Japanese have very attractive tools for commodity product manufacturing (DRAM and Flash memory chips) like their ALD Large Batch Furnaces and relatively new and successful NT333 Spatial ALD platforms. 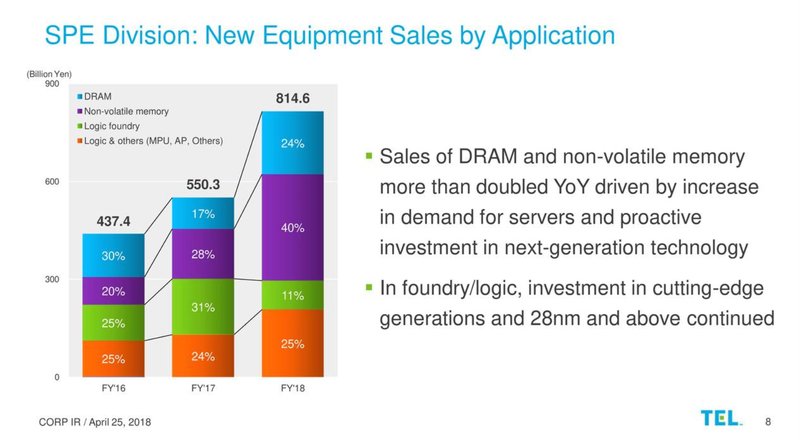 Also interesting is that Tokyo Electron presents a rather bright future with growth not only in DRAM and 3DNAND but also in Logic due to 10/7nm investments from the IDMs and Foundries. 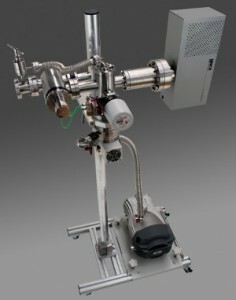 ALD is a Chemical Vapour Deposition technique that is surface-limited and self-terminating. As a result, film thickness can be controlled very precisely to the nanometer, high aspect ratio features can be coated with a unique level of conformality, and, film homogeneity is unrivalled. ALD, with its unique characteristics, was developed in the 1970s to meet demands in the fields of microelectronics and large area displays, and these have remained its main applications, both at the lab and industrial scale, for many years. In terms of materials, metal oxides and in particular a handful of them (HfO2, Al2O3, TiO2, ZnO and Ta2O5) where the sole object of ALD research. With the advent of nanotechnology, ALD has gained momentum due to the need of controlling and engineering surfaces and interfaces. As a result, the number of laboratories equipped with an ALD system has increased significantly, which has resulted in an exponential increase in the number of publications involving ALD. Is the semiconductor industry preparing for ruthenium again? Probably The Best ALD news blog. 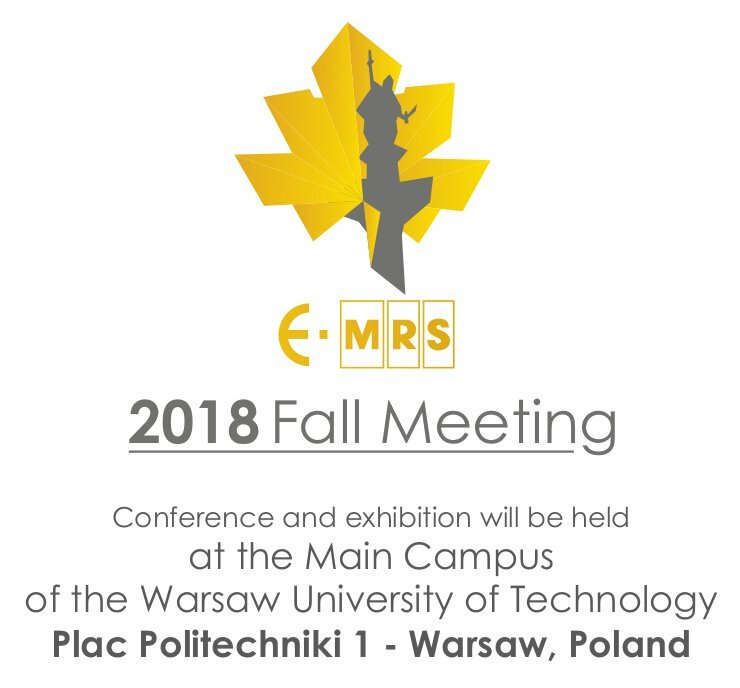 Covering new and old developments in Atomic Layer Deposition (ALD), Atomic Layer Etching (ALE) and Atomic Layer Sensing (ALS) and Nanotechnology. 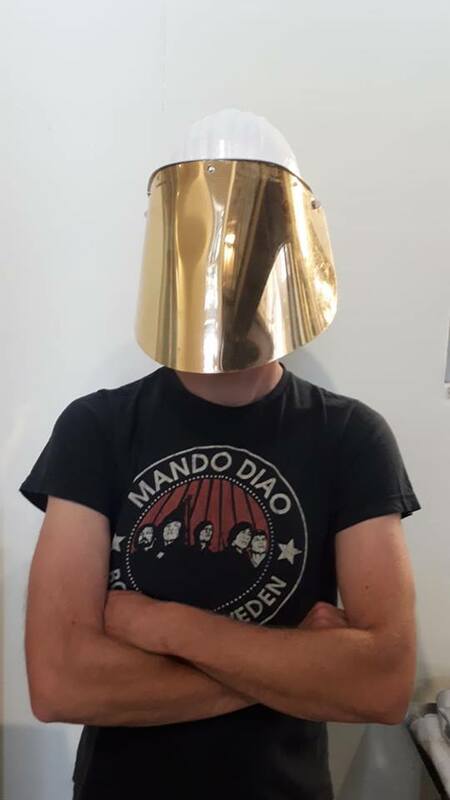 From BALD Engineering AB (jonas.sundqvist@baldengineering.com, http://www.baldengineering.com). News from The ALD LinkedIn Group, ALDpulse.com, Google News, Research Gate and Twitter #ALDep #ALEtch collected for your convenience. Your submissions are most welcome!